Bondings 2.0 welcomes a new friend to the blogosphere: the Fortunate Families Blog! This new internet resource is a new online community for the Fortunate Families (FF) network, which brings together Catholic parents of LGBT people for mutual support and advocacy for equality. Young people, young people, young people. The fact that so many young adults are open and affirming of the LGBT community. Change happens over time, this is hopeful. We hold the tension of being urgent and patient at the same time. Requires a deeper spirituality to do that. Many more Catholic parishes are now hosting groups for LGBT ministry. New, younger parents of LGBT children are getting involved. More people of other faiths are getting involved in LGBT issues and equality. Even though many of us have been singing the same song of openness and affirmation for a long time there seems to be a lot more people singing with us. Another post offers a profile of Joan Abele, who is one of FF’s Listening Parents Network, a group of Catholic parents who have been trained to be listeners and accompaniers of parents who may just be learning they have an LGBT child or who may be experiencing a special challenge with their faith or family. This blog looks like it will be a great addition to the already flourishing online conversations taking place for those interested in different aspects of the Catholic LGBT world. Check out Bondings 2.0’s blogroll, in the column to the right of this post, for a variety of Catholic websites and blogs on LGBT and other church reform issues. 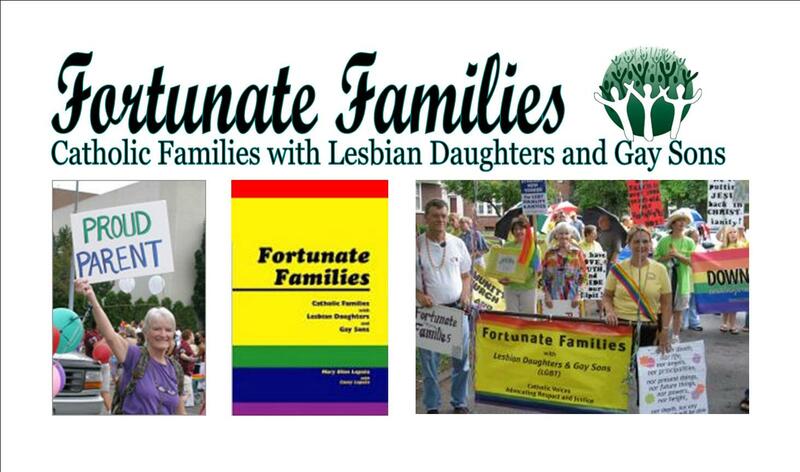 To learn more about Fortunate Families as an organization, you can visit their website. Remember, too, that blogs–whether the Fortunate Families one, Bondings 2.0, or any other one–are social media. As such, they are not just providers of information, but opportunities for discussion. So, you are encouraged when visiting any blog site, including this one, to make your opinions and reactions known by posting in the “Comments” section provided for each post. Welcome to the blogosphere, Fortunate Families blog! Thanks Frank…. as Catholic parents of lgbt kids one of the toughest battles we face in ministry is getting the word out that we are HERE. We love your blog!!! Congratulations to Fortunate Families! It is a WONDERFUL organization and this new chapter in their efforts is a great step forward.